Felony and misdemeanor theft offenses are taken very seriously by prosecutors and judges. Because these cases do not involve drugs or violence, people often take for granted that punishments will not include serious jail or prison time or other serious consequences…that is a mistake. Financial crimes in the United States are a serious focus of law enforcement activity and there has been a major impact on the economy from economic crimes. Prosecutors and judges make every possible effort to not only punish defendants convicted of theft crimes, they seek to make an example of them. When your liberty, family, employment and reputation are on the line, you need the best criminal defense possible. There is no room for error. What crimes are considered to be “theft crimes”? What are the possible consequences for a theft crime conviction? What will likely happen? Any time someone is charged with a felony or misdemeanor charge, there is always the possibility of jail or prison. Misdemeanor offenses carry a maximum possible sentence of up to 1 year in jail and up to 2 years of probation. Felony charges are punishable by a maximum sentence of greater than a year in the Michigan Department of Corrections and up to 5 years probation. Some theft crimes felony offenses have a maximum sentence of up to 2 years and other can carry a potential life sentence. What will likely happen? First of all, don’t give up hope. There is always the legitimate possibility that a great theft crimes defense attorney will be able to get your charges dismissed or reduced and, in some cases, an outright acquittal may be possible. If there is no way to avoid a conviction, you will need your lawyer to do everything humanly possible to get the sentence to be as low as possible…this means: low or no jail, low or no probation, low or no fines, costs and fees, low or no terms and conditions of probation. Every case is different and the only way to give you more specific information would be to talk with one of the highly experienced and effective theft crimes attorneys at LEWIS & DICKSTEIN, P.L.L.C. (248) 263-6800. If you have not yet been charged and only an accusation is being made, NOW is the time to get power and influence of LEWIS & DICKSTEIN, P.L.L.C. behind you. We have helped a multitude of clients avoid felony and misdemeanor charges though proactive representation, complete preparation and a credible presentation of our client’s position. Allegations of theft are often false and motivated by improper or malicious reasons. While anyone would be foolish to deal with law enforcement on their own, we have worked out a system to deal with law enforcement that gives our clients the best possible chance of avoiding charges when possible. 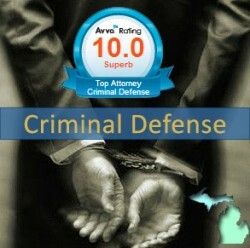 Prosecutors and judges in Michigan have a very high level of respect for the criminal defense lawyers with LEWIS & DICKSTEIN, P.L.L.C. We are known throughout Southeastern Michigan as practicing at the highest level of defense available. 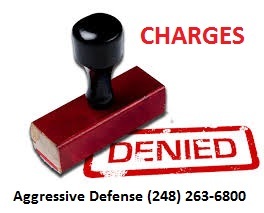 That’s why—no matter what your specific charge—our expert legal team will prepare the most aggressive defense possible. With decades of legal experience, our defense attorneys work tirelessly to help you avoid the penalties and damages of a theft conviction. Call us today for a confidential and free consultation at (248) 263-6800. When everything seems hopeless, we can help turn things around. We know the stakes are high and we will do everything humanly possible to help you. Complete a Request for Assistance Form and a seriously experienced theft crimes defense lawyer will promptly contact you.